3 pm - Gods and Faith - Authors lead us through an in depth discussion on writing about gods and faith in their worlds. Comic Con Internation in San Diego! I'll be giving away some signed copies of hope and Red at the Orbit booth, and I'll be on a panel abour worldbuilding. More details to come! Nebula award winner Fran Wilde and I will be doing a panel and signing at the Barnes & Noble in Bowie, Maryland as part of Orbit's Get Pop Cultured event series. This will be my first event in PG County, even though I've lived here for like 8 years or something. HOPE AND RED book launch party! Come celebrate the launch of my debut fantasy for grown-ups, HOPE AND RED! 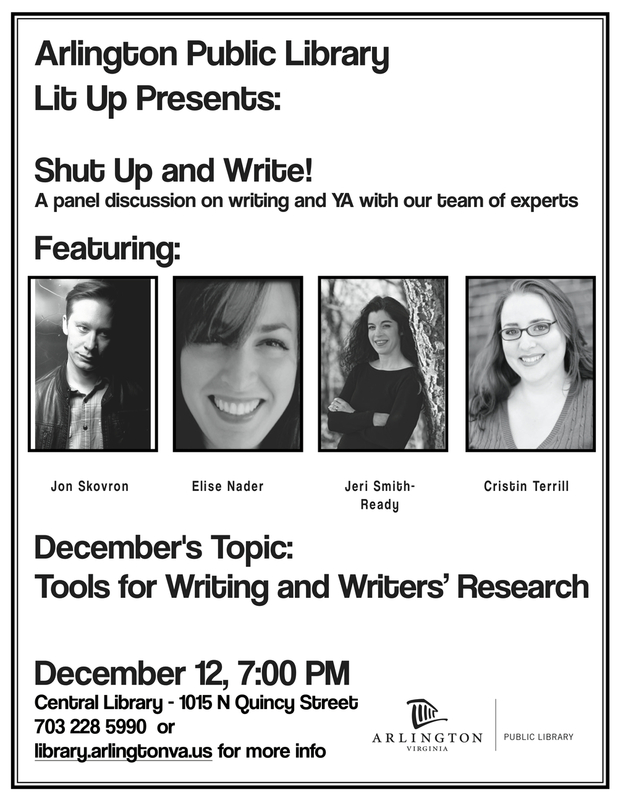 There will be a free wine tasting, then I'll reading from the book, with a signing to follow. Against my better judgement, I will again be the MC for the NoVA, with guest of honor Holly Black! 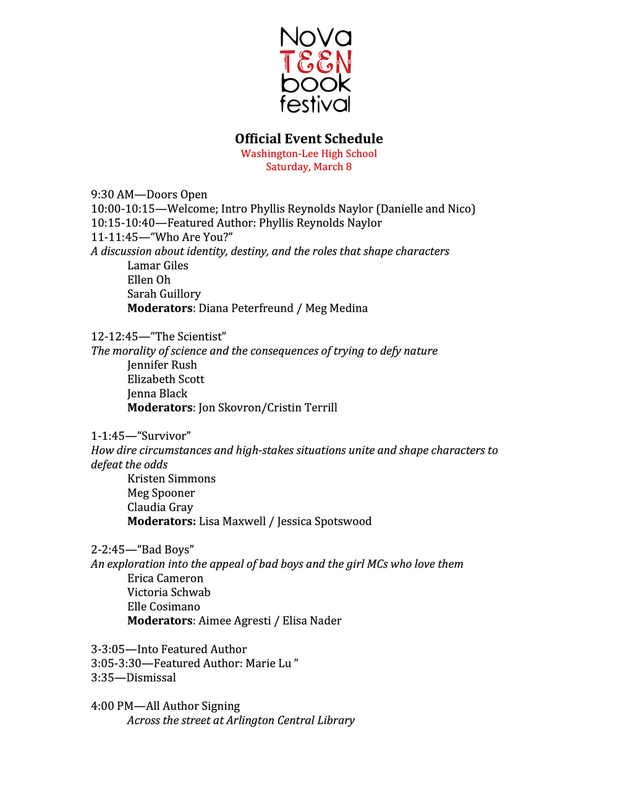 Go to novateenbookfestival.com for the full lineup and schedule. Sunday 11:00:00 AM The Youthful Form: What Is Young Adult? With special guest Barry Lyga! Not sure what time yet. I'll update when I get more info. But what I am sure of is that Billie Piper and Jewel Staite will be there. So...good enough for me! Sponsored by the Open Book Foundation. I'll be talking about Frankenstein. Naturally. Not sure what panels I'm on yet. Will update when I find out. Yes! It will just be me! Nothing but me being crazy for an hour! WHO KNOWS WHAT I'LL DO!!! !